The debate continues – this time with comments printed in Le Maine Libre last Friday, from Serge Saulnier, Peugeot’s team manager. He has a unique ‘foot in both camps’ because he was in charge of the Swiss Spirit Courage Judd this year. "A 10% smaller fuel tank, it's (a) huge (difference),” begins Saulnier. 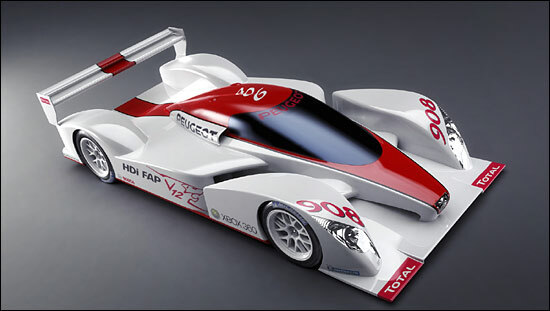 “It means two laps at Le Mans and one more stop in the LMS races. They have gone too far! Honestly, it's very annoying. We must compare what is similar and the diesel doesn't come down to an advantage of torque and power. For me, who has lived the 2006 season with a petrol powered prototype, I can tell you that the diesel has also some handicaps and some other problems to solve: the thermal exchanges for example, the weight distribution because it is concentrated on the rear. On the aerodynamic side too, it's also necessary to have 25 % bigger radiators… The tyres ? Their use is ‘more narrow’ with a diesel engine." The French newspaper suggests that Peugeot may only run one car in the Le Mans Series - "I don't know yet,” says Saulnier. Peugeot will now announce the names of the drivers in December, instead of this month, and they will be seven instead of six. Three of the six to be named will be French. 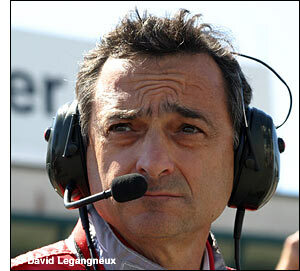 The seventh driver is Eric Hélary, who will be in charge of the test and development work.